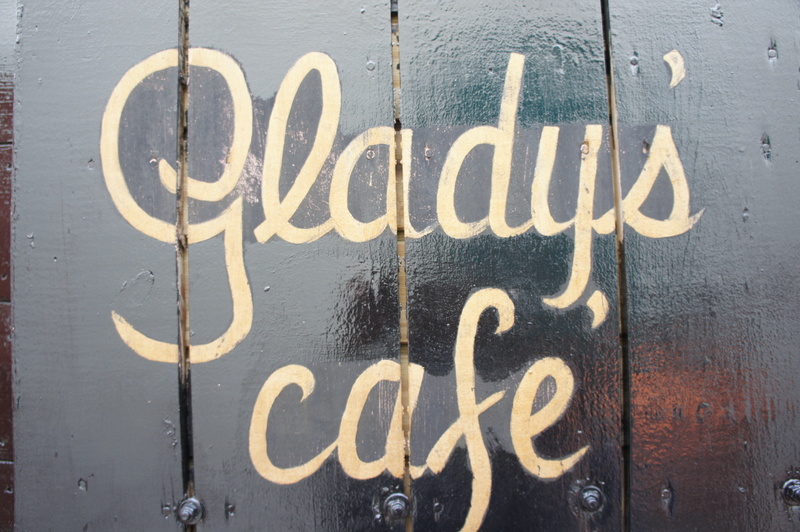 Though we hadn’t yet read the glowing reviews in the New York Times or Trip Advisor, we did rely on customer reviews of some sort when choosing Gladys’ Café for lunch one day. 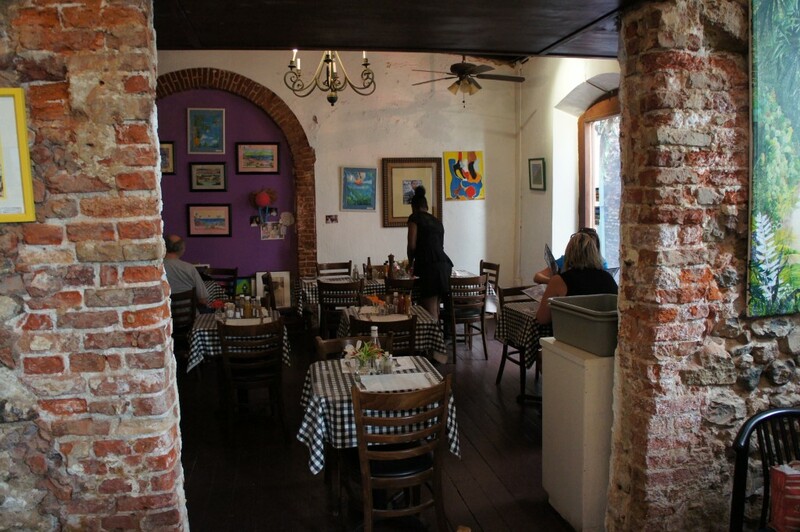 Those reviews came straight from a couple who were leaving the restaurant and beaming with satisfaction while we were still checking the place out and deciding whether or not to venture in. 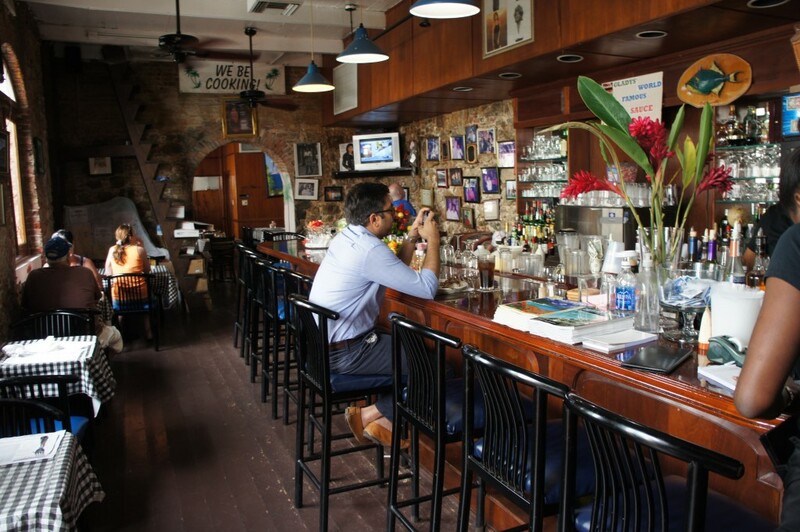 In their words, the place was “great” and “a definite” must. “Oh. And if you like roti or lobster sandwich, order one or both. They were wonderful”. Strong recommendations like this don’t just happen every day and shouldn’t be taken lightly. So without any further hesitation, we marched right in. What followed was a tasty home-cooked meal that lived up to our expectations. 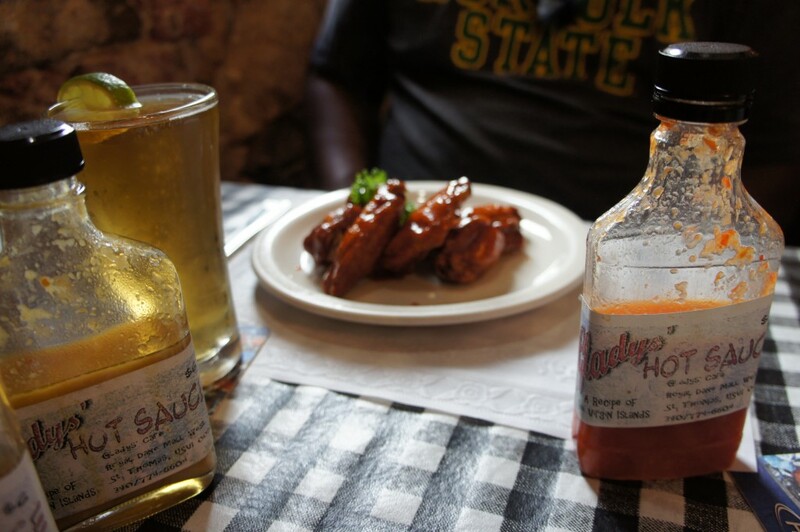 Mango Eddie was in the mood for one of his Caribbean must haves – chicken wings. Although they were already slathered in a colorful sauce, he insisted on embellishing them with some of Gladys’ hot sauce too. The combination turned out to be a hit. Between bites he repeatedly commented about how tangy and succulent they were. 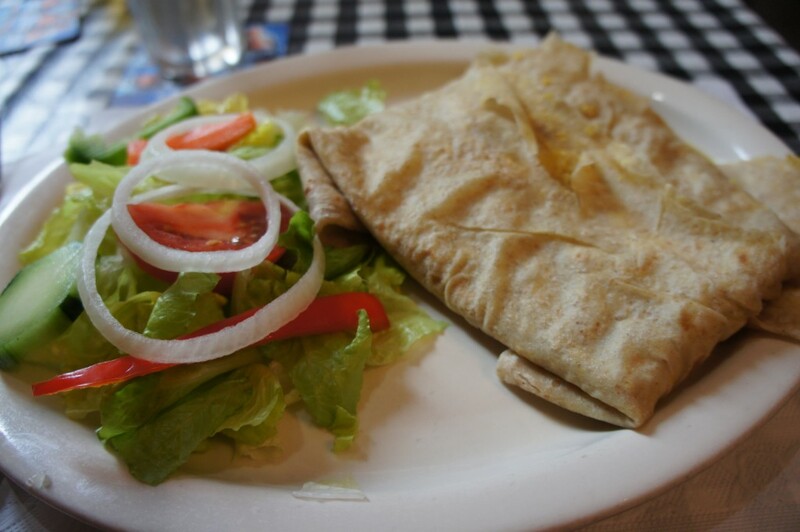 I ordered one of my Caribbean must haves – chicken roti. Mmmmm. A savory stew of tender chicken, fresh veggies and chickpeas was tucked inside a light, whole wheat(?) wrap. Warm, curried deliciousness. Had we been hungrier we also would have considered the fried snapper, jerk chicken or jerk pork that diners around us were unabashedly enjoying (whispers of “this is sooo good” seemed to surround us from every direction) or the lobster sandwich recommended on our way in, but those will simply have to wait for our next trip to the island. Looks like a great place. I love Caribbean roti! 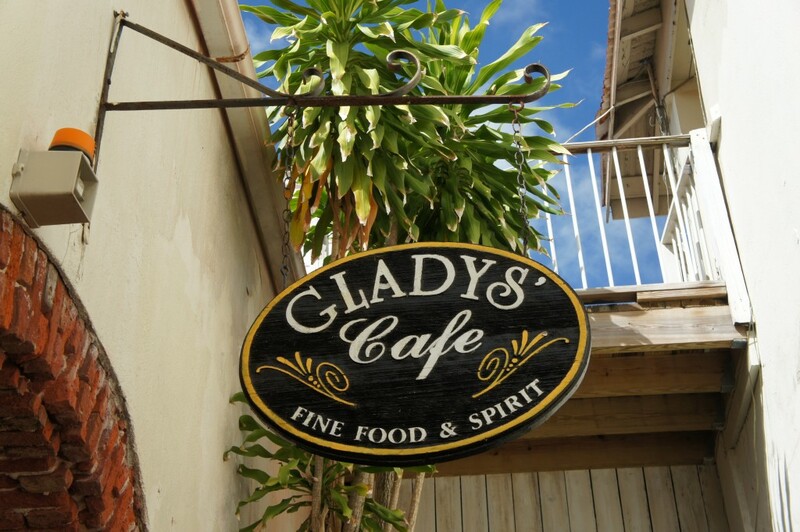 Looks like I’ll have to give Gladys’ a try next time I’m on island. Cheers and thanks for the glowing review.! Great place! I’ll buy the first round of drinks next time!